RESEARCH TRIANGLE PARK, North Carolina, July 7, 2011 (ENS) – Bayer CropScience has agreed to pay $750 million (517 million euros) to settle claims by U.S. rice farmers that the company’s genetically modified rice has contaminated their crops. Around 11,000 farmers in the states of Arkansas, Louisiana, Mississippi, Missouri and Texas filed lawsuits against Bayer CropScience, a subgroup of the German chemical producer Bayer AG. The settlement program will be open to all U.S. farmers who had been growing long-grain rice during the period of 2006 through 2010. In July 2006, Bayer’s Liberty Link Rice 601, a genetically modfied variety that was not approved for commercial distribution or human consumption anywhere in the world, appeared in the harvest of the farmers. U.S. rice exports to the European Union, Japan, Russia declined. The USDA’s Animal and Plant Health Inspection Service initiated an investigation on August 1, 2006, after Bayer CropScience reported that regulated genetic material LLRICE601 had been detected in the long-grain rice variety Cheniere. The investigation was expanded on February 16, 2007, to include the discovery of regulated genetic material, later identified as LLRICE604, in the long-grain rice variety Clearfield 131. While, the GM proteins were found, APHIS decided not to pursue enforcement action against Bayer CropScience. Click here for a detailed description of the investigation. Settlement agreements have been reached with two groups of lawyers, the company said in a statement. One agreement involves those cases that are a part of the federal multi-district litigation; the other involves those cases in state courts. BrownGreer PLC will administer the settlement processes for both agreements. 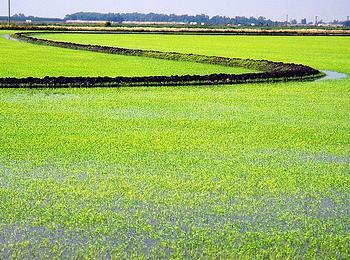 Rice growers have a 90-day period in which to submit their claims. “Although Bayer CropScience believes it acted responsibly in the handling of its biotech rice, the company considers it important to resolve the litigation so that it can move forward focused on its fundamental mission of providing innovative solutions to modern agriculture,” the company said in a statement. Bayer CropScience recommends all rice growers interested in participating in the settlement program consult a lawyer in regard to their claim submissions. The settlements are contingent on the participation of a sufficient number of growers to represent at least 85 percent of U.S. long-grain rice acreage. The Coalition has introduced several countermotions on the issue at Bayer’s annual shareholder meetings in recent years. Liberty Link Rice has been modified with a gene that makes the plant tolerant to glufosinate, a weed-killer produced by Bayer under the brands Basta and Liberty. Glufosinate is to be phased out in Europe due to its hazardous nature. Glufosinate was included in a biocide ban proposed by the Swedish Chemicals Agency and approved by the European Parliament on January 13, 2009. The herbicide is classified as toxic for reproduction and can also cause birth defects. With LL Rice, usage levels for glufosinate would increase, increasing the likelihood of herbicide residues remaining on the rice. Bayer applied in 2003 to import LL62, a similar rice variety. The application was rejected several times when voted on in the EU Council of Ministers, but has to date not been withdrawn. Bayer is also pushing for legal approval for Liberty Link Rice in Brazil, South Africa, India and the Philippines.